Children will delight in the fanciful tale of Robbie the Rabbit. Children will delight in the fanciful tale of Robbie the Rabbit. 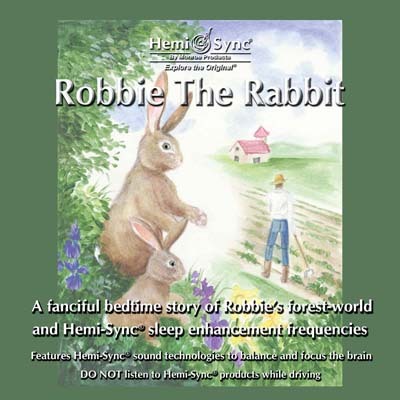 This comforting and soothing journey into Robbie’s forest world is complete with nature sounds and the music of the night along with Hemi-Sync® to guide your child into deep and restful sleep. (Mind Food – Verbal) 60 min.